Here at Topline Trampolines, we produce professional-grade in-ground trampolines, perfect for aspiring gymnasts or for the backyard. So, why should you choose an in-ground trampoline instead of one on legs? In-ground trampolines are fantastic for smaller children who wish to pursue gymnastic trampoline or to play with their friends. Unlike a trampoline on legs, children will not have the fear of falling off an in-ground trampoline. This also eliminates the risk of someone actually falling off the edge, and the fear that comes with that. No fear means more fun. 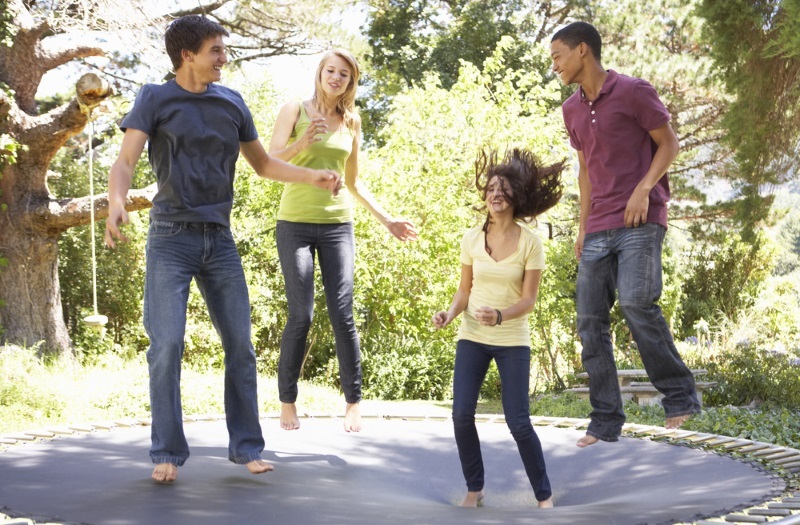 Installing an in-ground trampoline will often look nicer in a backyard than a standing one. It fits in better with the yard and is easy to landscape around. Plus, how many houses do you see with in-ground trampolines? You’ll be the coolest house on the block! There’s nothing worse than seeing the backyard after an intense storm and everything has flown away; the above-ground trampoline might be in the neighbour’s yard! With an in-ground trampoline, there is no chance of your beloved trampoline flying away in the storm. It will be right where you left it when the sun comes out tomorrow. If your child has big dreams of taking their gymnastic trampoline skills to the Olympics, they’re going to need the correct equipment. Topline Trampolines produces in-ground Olympic trampolines, perfect for any aspiring gymnast. If you want to be the best, you’ve got to have the best. In-ground trampolines are a fantastic alternative to the traditional above-ground trampolines if you want safety, professionalism and a minimal chance of your trampoline ending up on the roof. If you’re interested in having an Olympic in-ground trampoline in your yard, contact Topline Trampolines today.